This entry was posted on Wednesday, December 7th, 2011 at 5:00 am	and is filed under Holidays, Parenthood, Photography. You can follow any responses to this entry through the RSS 2.0 feed. Both comments and pings are currently closed. 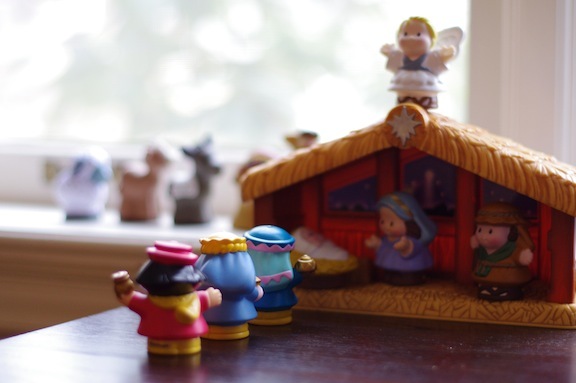 We still use our Little People Nativity set – I love that thing. 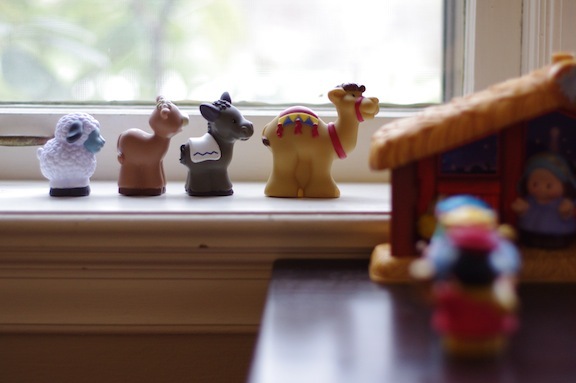 It totally keeps Baby Jesus in our fancier creche safe from swiping! One year (before we owned the Little People Nativity) Baby Jesus went missing for 4 days.